Reduced from $26 856 to $25 793! Want a 4WD that is easy to park and navigate city traffic? Here it is a 2018 Ford Ecosport Titanium 4WD! Powered by a 2.0L 4cyl and a 6 speed automatic. Fully equipped with leather interior, power driver seat, heated front seats, heated steering wheel, aluminum alloy wheels, power sunroof, power windows, power locks, power mirrors, climate control, aluminum alloy wheels, Bluetooth and much more. 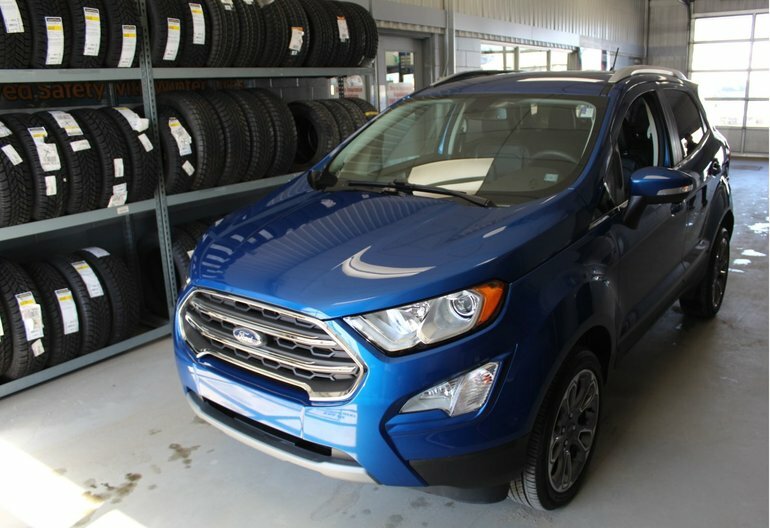 Interested by the 2018 Ford EcoSport Titanium City sized suv! ?